After an all too brief stop we strolled down to the lobby of the Peninsula to check out. The process was very smooth and efficient. Our bags were taken from us and a taxi was hailed from some hidden 'feeder' location, so that we had no wait whatsoever before heading to the airport. Once again the Pen's service shone through. The Royal Silk (business class) check-in area at BKK isn't quite as elegant as the F section. In fact it is pretty weird. 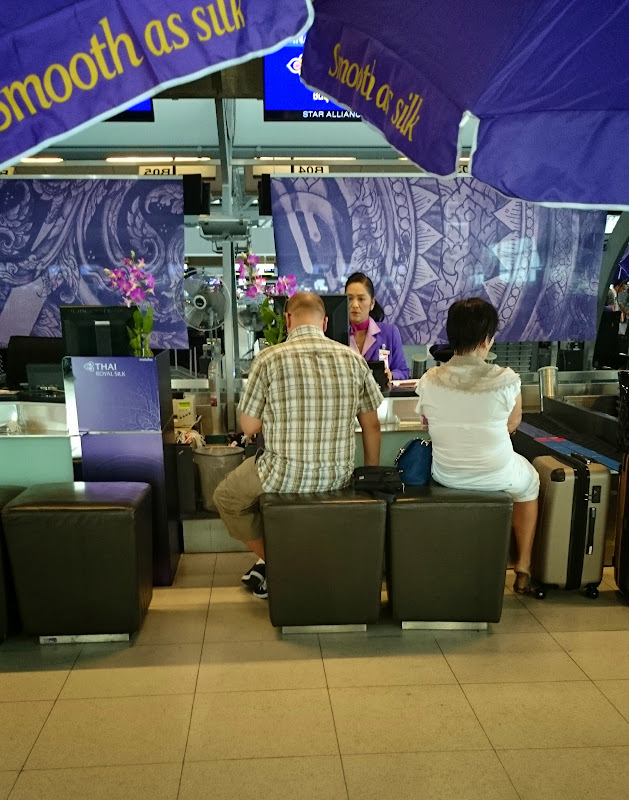 There are purple parasols everywhere and small leather ottomans to sit on whilst you are checked in to your flight. Although there were plenty of counters, only one of them was staffed when we arrived. Still, we didn't have to wait too long and were soon through fast track security and in the main Royal Silk Lounge. 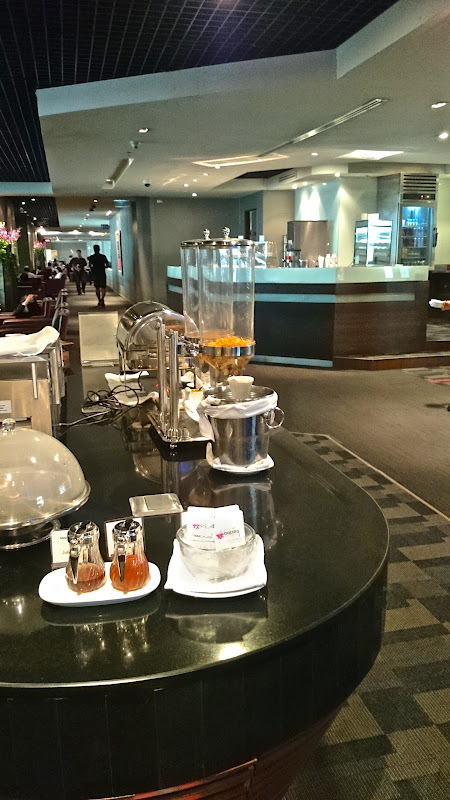 This was my first time in the Royal Silk Lounge as previously I've been lucky enough to have access to Royal First. It's a bit of a weird feeling knowing that this time you're 'not good enough' for a lounge that you've previously been able to use. This must be how ageing sports stars feel Much like the F lounge, the J lounge is very long and quite thin. This gives it something of a corridor-like feel. Still, I actually prefer this lounge to the F lounge in a lot of ways. You can serve yourself rather than waiting for somebody to come to your seat with an iPad. 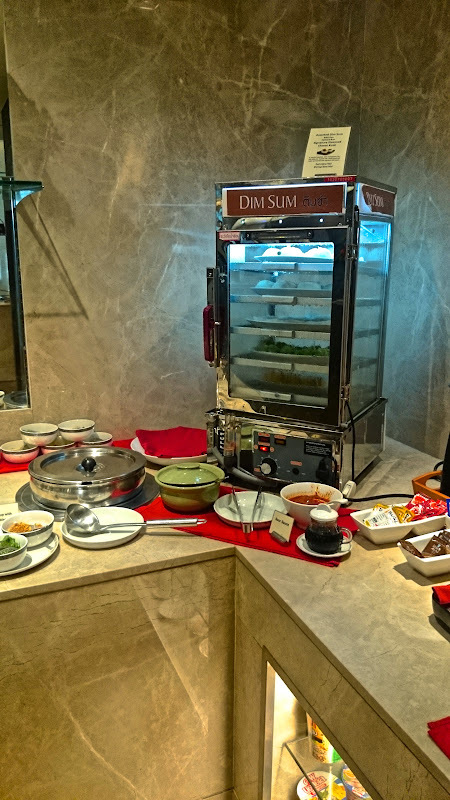 The buffet space has a nice open feel and the staff there were great. 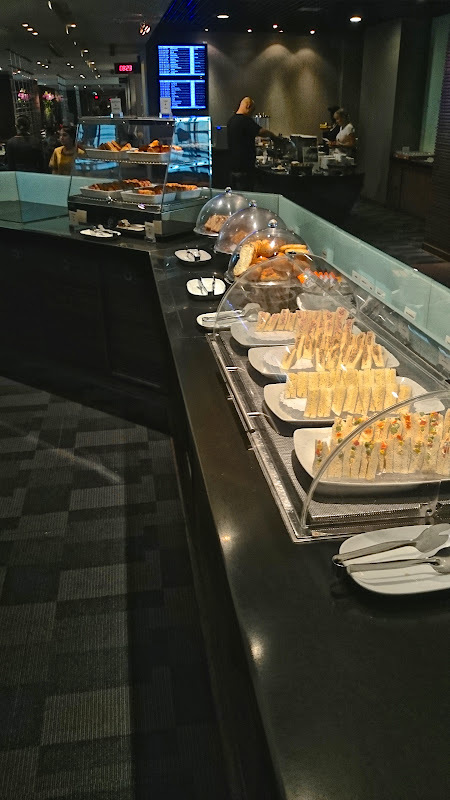 One staff member was very engaging, asking questions about my travels and what I thought of Bangkok, he was also super quick to clear plates and replace lids on food whenever necessary. Dare I say it, he was probably better than the F lounge crew, who tend to just gather around the F bar and chat with each other. I love how more and more lounges are getting these! After investigating the TG lounge we decided to head through the terminal to see what SQ had to offer. 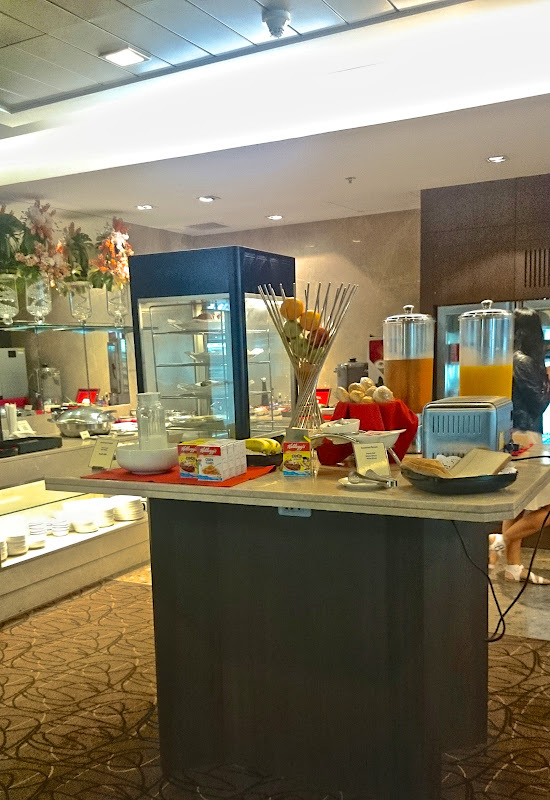 The overall feel of the SQ BKK J Lounge is that of an intimate club. I much prefer this to the mega-lounges that you sometimes find, heaving with people. The rest of the food and drink offerings were very solid too. 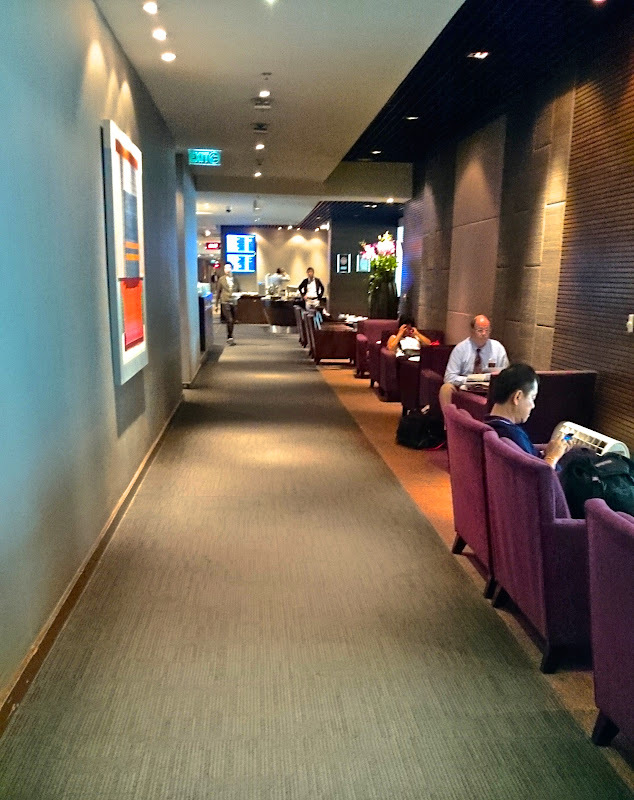 I'd always choose this lounge over the TG lounges, unless my gate was absolutely miles away. 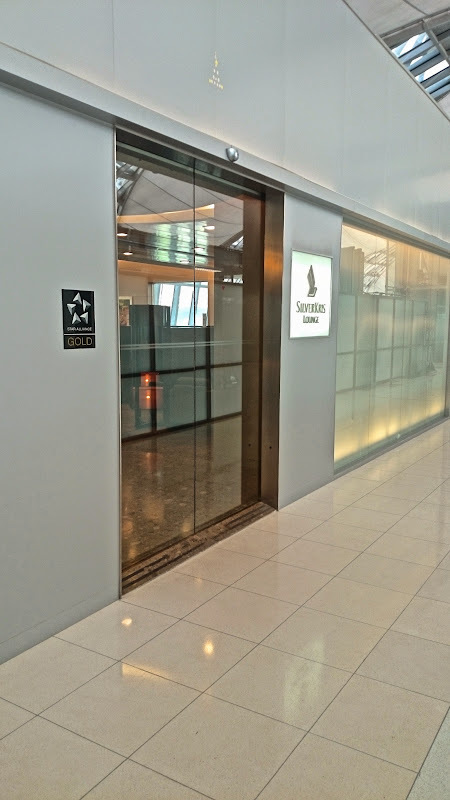 The only downside is that it has no toilets, not a huge deal but still, I overheard a few different people asking staff members and reacting in an astonished fashion when they found out that they would have to leave the lounge to use the bathroom. After half an hour eating coconuts and Thai milk tea ice cream we headed to the gate for our flight to Bali DPS.